Tom Dean set a new European Junior Swimming Championships record as he won gold in the 200m Individual Medley in Finland. His time of 1:59.17 saw him knock almost half a second off his personal best and was 2.25 seconds quicker than Russia’s Maksim Stupin, who took silver in 2:01.42. 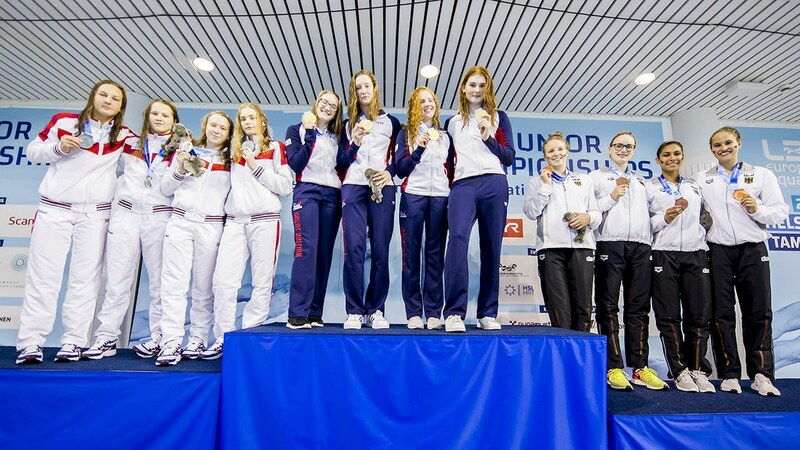 It was one of four medals won by Great Britain’s youngsters on day three of the competition in Helsinki. The women’s 4x100m Medley team also set a championship record on their way to gold. Lily Boseley (1:01.86), Tatiana Belonogoff (1:08.34), Emily Large (58.88) and Freya Anderson (53.40) clocked 4:02.48 to finish 2.04 seconds ahead of Russia, who took the silver in 4:04.52. Germany finished third, more than four seconds behind Great Britain, in 4:06.59. Lauren Cox claimed a silver medal in the 50m Backstroke in a time of 28.51. 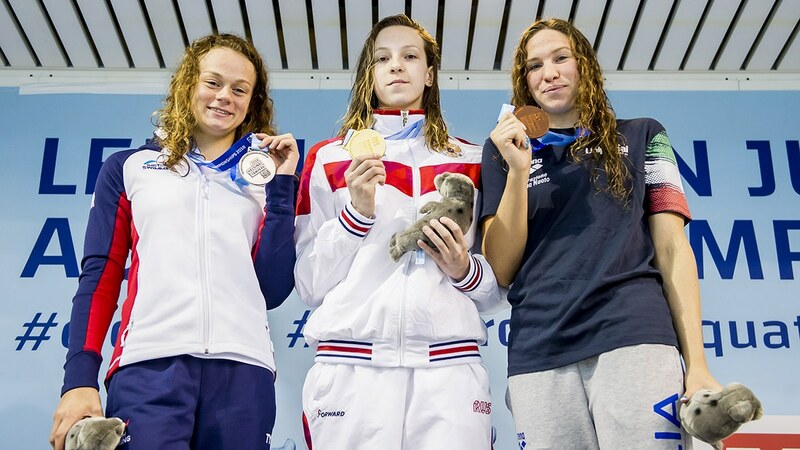 She was 0.61 seconds behind Russia’s Daria Vaskina who topped the podium in 27.90. Cox was 0.11 seconds ahead of Italy’s Giulia D’Innocenzo who touched home in 28.62. 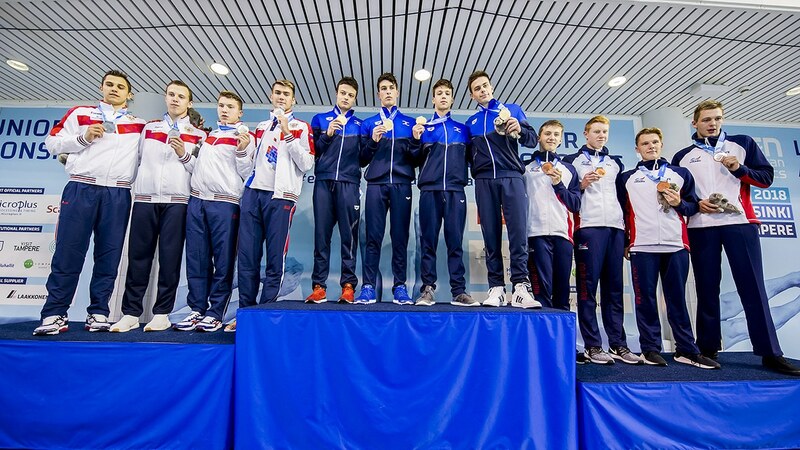 The men’s 4x200m Freestyle relay team picked up a bronze medal as they were just beaten to second place by Russia. Harry Constantine (1:50.49), Jakob Goodman (1:49.48), Tom Dean (1:48.49) and Luke Turley (1:49.27) finished in 7:17.73 – 1.45 seconds behind Israel who won the gold medal in 7:16.28. Russia clocked 7:17.49 to take the silver medal. Jacob Peters narrowly missed out on a medal as he finished fourth in the 200m Butterfly in 1:57.83, while Archie Goodburn was fifth in the 50m Breaststroke in a time of 28.30. Great Britain have now won a total of eight medals after three days of competition and are third in the medal table behind Russia and Hungary.